Home Home-Featured Wolfpack wrestlers ready to go! Wolfpack wrestlers ready to go! ELGIN — In his second season at the helm of the Wolfpack wrestling program, Coach Trey Rossman sees things different than he did one year ago. The Wolfpack are just as determined as ever to be a strong team. Like recent years, the Wolfpack are limited in the number of wrestlers competing on the mats, but the desire to be among the best has never wavered. Rossman said last week, some things have changed since he first took over the wrestling program from legendary coach Doug Jones. Leading the way for the Wolfpack will be junior Luke Henn. Competing at 132 pounds, Henn will begin his third season as a varsity wrestler. “He’s definitely the leader of the team,” Rossman said. 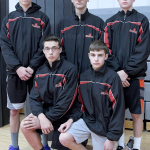 Last season Henn compiled a 22-17 record with 13 pins. Barring injury, those numbers should only get better this year. 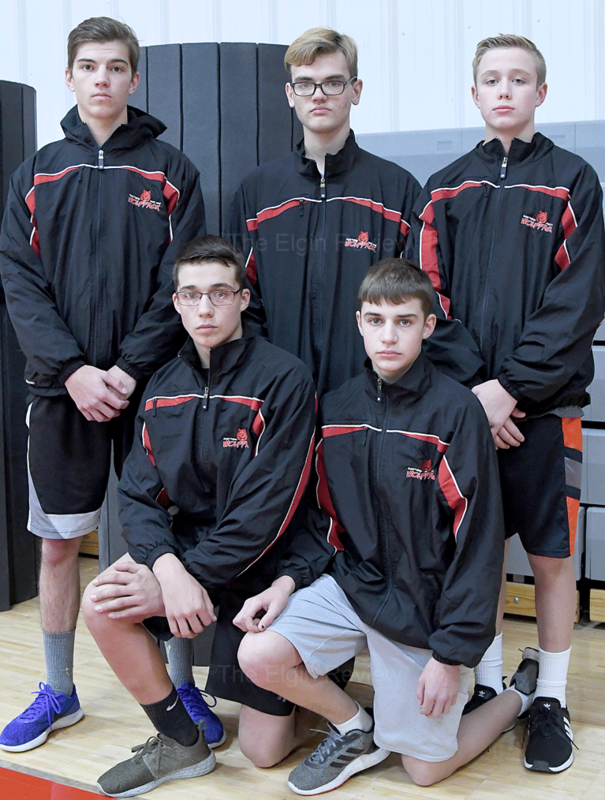 The four other wrestlers competing this season have a limited amount of experience. Junior Cory Romej will compete at 132 or 138 pounds. Romej, who competed in wrestling his freshman year, then opted for basketball last year, returns to the mats with some experience. Romej, competing at 106 his freshman year, was one match away from qualifying for state. Rossman went on to say the wrestlers are hungry to get the season started. The Wolfpack’s first meet of the season will be Saturday, Dec. 1, at the Howells-Dodge Invite. That will be followed by the Osceola Invite on Dec. 8, then on Saturday, Dec. 15, the Wolfpack Invite at St. Boniface Gym. EPPJ will host the NVC tournament on Jan. 31. Andrew Childers will serve as an assistant coach this season, filling the vacancy created when Mike Zegers announced at the end of last season he was going to step down from the position. However, Rossman said, he’s counting on Zegers to be available “when needed.” One thing’s for certain — when the Wolfpack take to the mats this season, it will be exciting.